Pilot charts are used as passage planning tools. Much of the information contained on pilot charts stems from the shipmasters’ log-books kept by the 19th century Lieutenant Matthew Fontaine Maury of the US Navy. He earned the title of the ‘Pathfinder of the Seas’ for his study of ship routes and logbooks. In 1848 Maury published wind fields of the Earth and he inspired the first international marine conference in 1853. Using the information from the conference, Maury produced charts for the Atlantic, Pacific and Indian Oceans. In 1885 Maury realised the danger of collision in the North Atlantic due to the fog, icebergs and increasing traffic, so he recommended separate shipping lanes for eastbound and westbound steamers. Information is presented graphically for each 5° section of the chart. Hundreds of years of meteorological and oceanographic observations have been averaged and included for each month of the year. 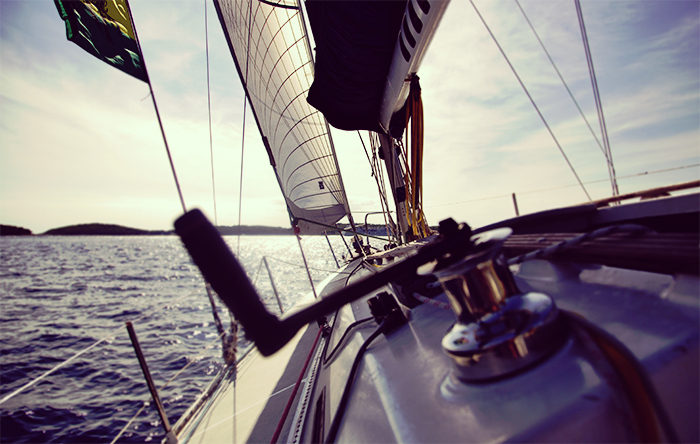 Plan your voyage by selecting the route with the most favourable ocean and weather conditions. Of course, if you know which month you will be travelling and you don’t need the complete atlas containing all 12 monthly charts covering the year, choose one or two charts for the months you need. Due to climate change information and incorrect observations, some believe pilot charts based on Maury’s historical logbooks may not be as accurate as they could be. If you would prefer to have pilot charts that aren’t based on recent, modern-day data rather than historic data, Cornell’s charts may be for you. Father and son team Jimmy and Ivan Cornell used extensive meteorological satellite information from 1987 to now to produce 129 pilot charts. Real-time geospatial and remote buoy sensing data was gathered from a network of OSCAR and other meteorological satellites, using Earth and Space Research data programs. The Atlas includes a comprehensive description of weather conditions in every ocean and tactical suggestions for the most popular times of the year for passages to be undertaken. Sailors are describing the charts as ground-breaking for their content and layout. The scale also allows sailors to plan their voyage on a single chart.